Try our Tarrant Valley Beef, hung for a minimum of 28 days & then cut by hand. You will find it hard to source any beef that has been more devotedly farmed, butchered and prepared. The taste is truly second to none. Also stocking local Piddle Valley Chicken, Sturminster Newton Lamb and Pork, a range of homemade sausages (including gluten free options). We also make a variety of Homemade Ready Meals including our delicious meat pies and a range of savoury options such as scotch eggs, sausage rolls and pork pies. Our shop offers local cheeses, milk, bread, free-range eggs, fresh vegetables, chutneys, sauces, cereals, charcoal. 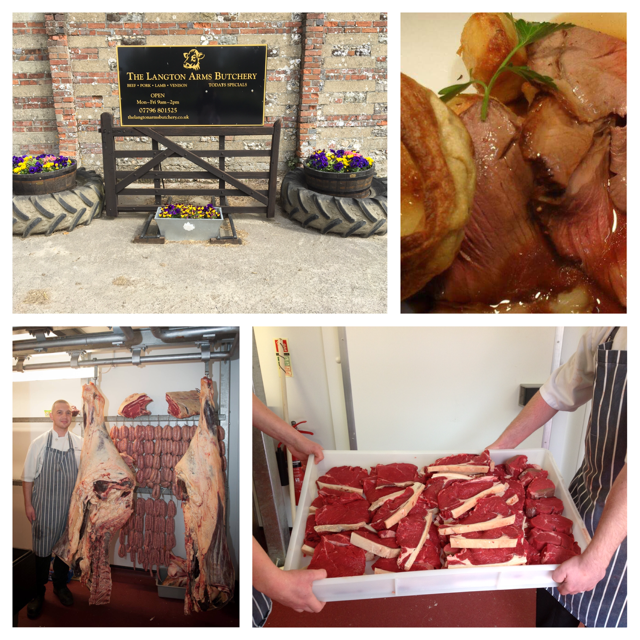 All produce is of fantastic quality at affordable prices, from a local family butchery & shop.